Here's some Halloween Nail Art for me to share with you. 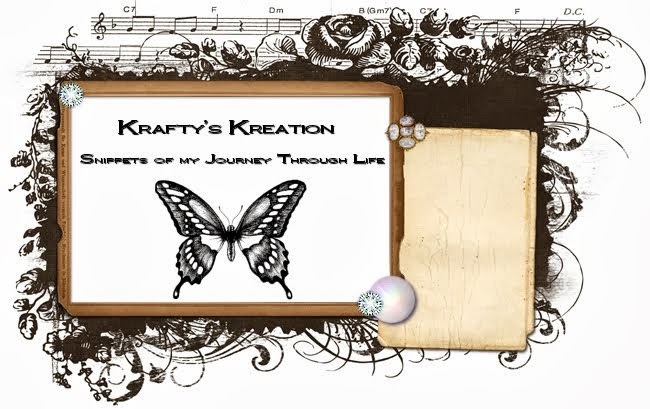 Since seeing this elsewhere, I so wanted to do it. so it only seemed fitting to do some nail art for Halloween! 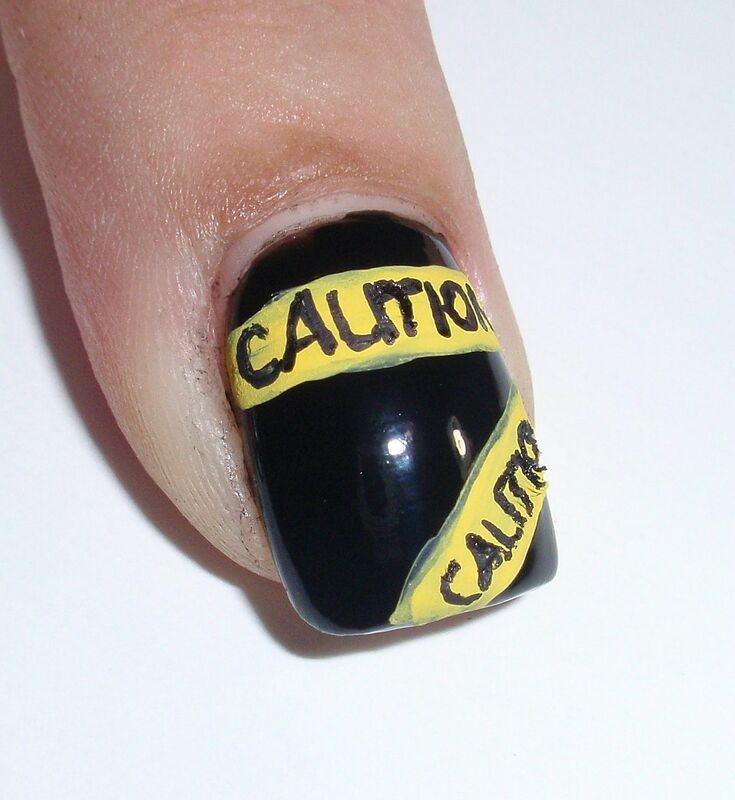 I started with Orly Liquid Vinyl black nail polish. 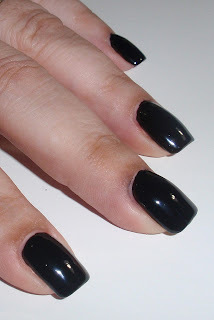 This black is my favorite and go to black nail polish. then pressed it on my finger. 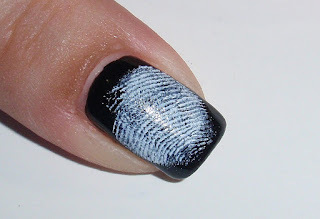 Here's the result - My fingerprint nail! I took a paint brush and loaded it with watered down paint. 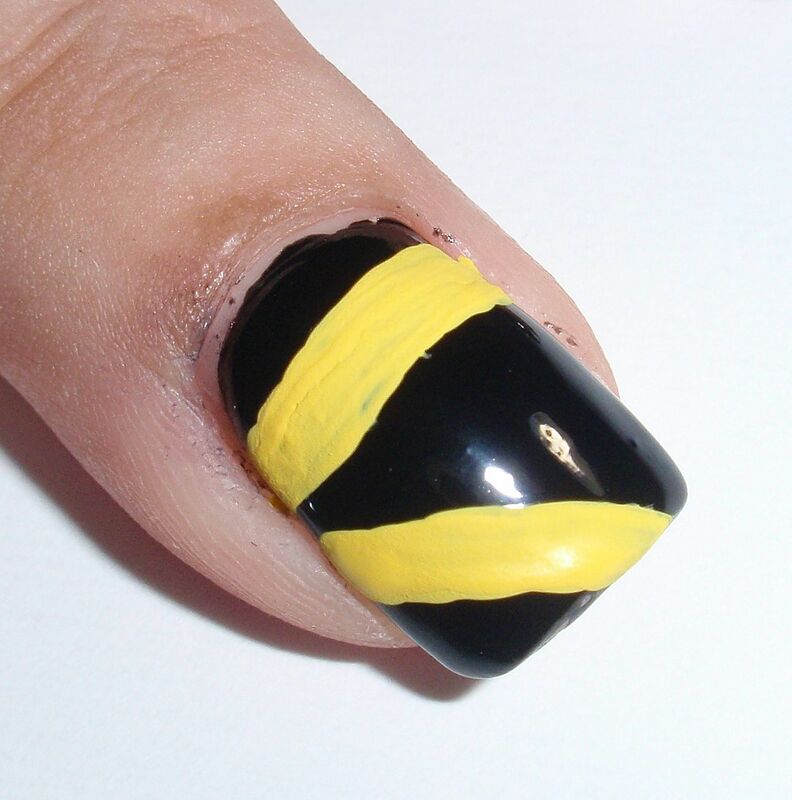 Then I flicked the brush on top of my nail until I came up with results below. Then I took yellow acrylic paint and made two lines as straight as I could. I then took a fine line marker and wrote in the word Caution. 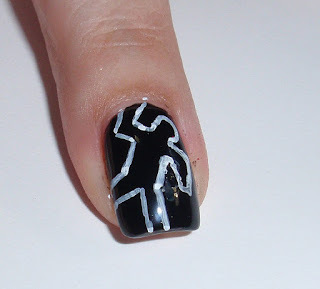 Lastly, I have a nail art pen in white and slowly drew in an outline of a body. Here are all my nails with top coat. due to it not being totally dry...but I think it adds to the character. even though I wish I had a steadier hand! 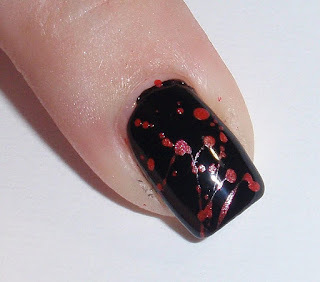 Blood splattering all around, way easier! LOL!!! 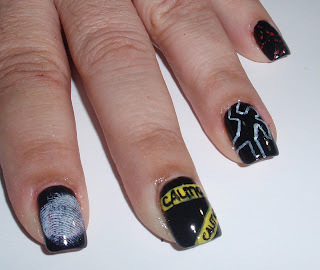 Let me know what you think of my Crime Scene Nails below!